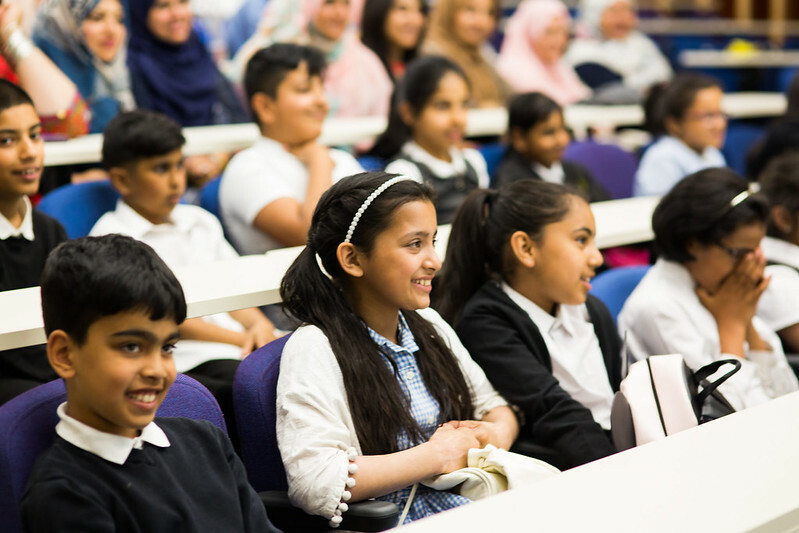 Pupils from six schools in the West Midlands have graduated from the Mosaic Primary School Programme at two especially dedicated graduation ceremonies held at Birmingham City University. Graduating participants from Arden Primary School, Nelson Mandela School, Parkfield Community Primary School, Ward End Primary School, St Georges C of E Primary School and Ladypool Primary School were accompanied and supported on the day by their teachers, proud families and mentors. Keynote speakers at the two events included two Student Ambassadors from Birmingham City University, Lucy Gregory and Amelia Rose and Zoe Bennett, a successful author and Managing Director of Training Personified, who focuses on customer service and motivation.